There are now hundreds of different Fairtrade product available nationally. Several thousand products have now been certified for sale in the UK. The website Mysupermarket handily allows you to search for Fairtrade products across several major shops. This gives a good indication of what’s available, and how much you should expect to pay. There are now hundreds of different Fairtrade product available nationally. Several thousand products have now been certified for sale in the UK. 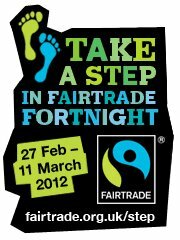 The website Mysupermarket handily allows you to search for Fairtrade products across several major shops. This gives a good indication of what's available, and how much you should expect to pay.